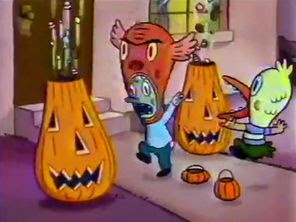 Over the years, many programs have chosen to celebrate Halloween in some form or other. 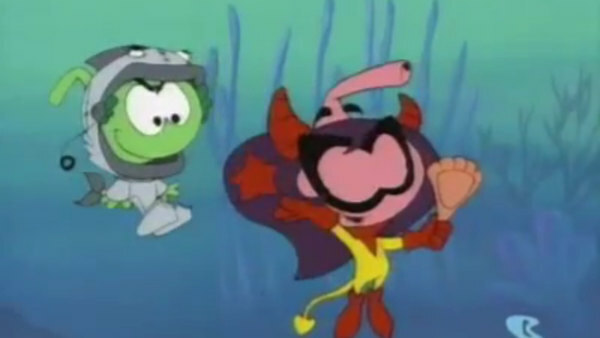 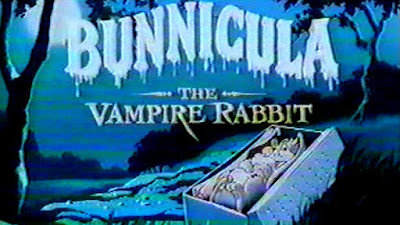 Here, we present to you a collection of the Halloween-themed episodes or specials related to Saturday morning programs. Now, while some of the shows could be considered Halloween-like 24/7, we're looking at the particularly scary episodes or the ones where Halloween is clearly present. 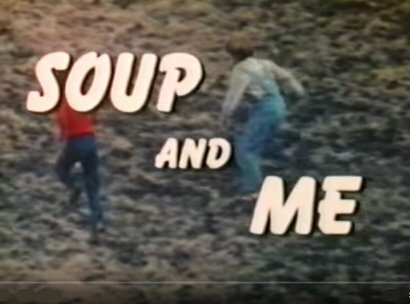 We're taking some liberties with specials that were made after the production of a particular show wrapped, but maintained enough of the same cast and crew to really be considered part of the same program. 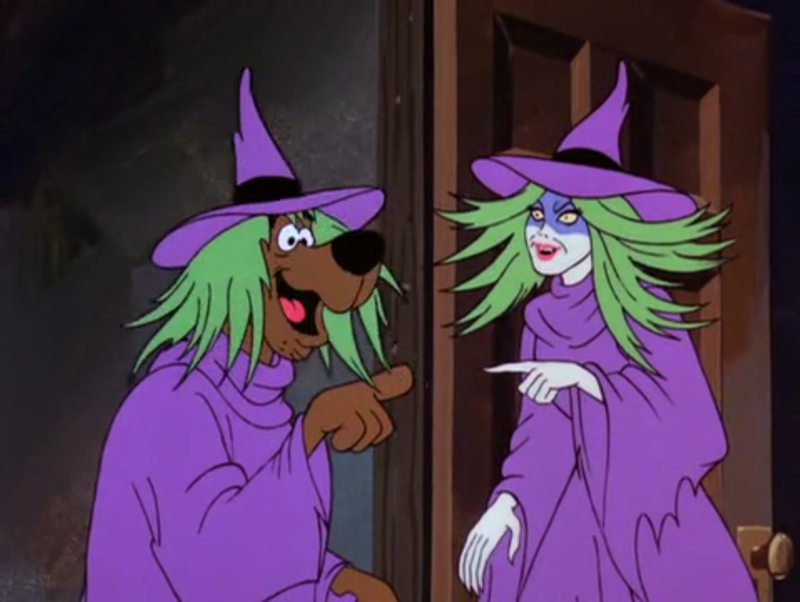 We won't be looking at the various Scooby-Doo direct-to-video movies as they are a franchise all their own with no particular connections to any one show. 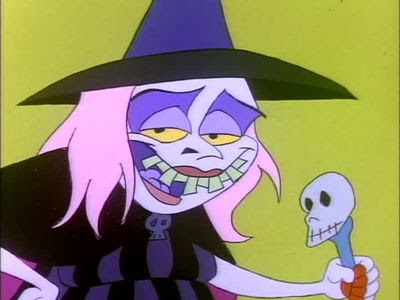 A special exception was made for Garfield's Halloween Adventure because we feel that one doesn't get nearly enough love. Did we get them all? Probably not. But we think we have a nice offering to fill your plastic Halloween pail that will hold you over to at least Christmas. 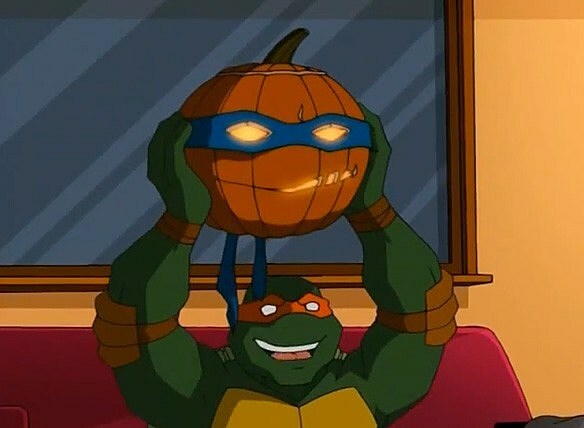 Or sooner, if you really want to risk the upset tummy. What are your favorite Halloween specials and episodes? Let us know in the comments, on Facebook, or on Twitter @SatMForever. 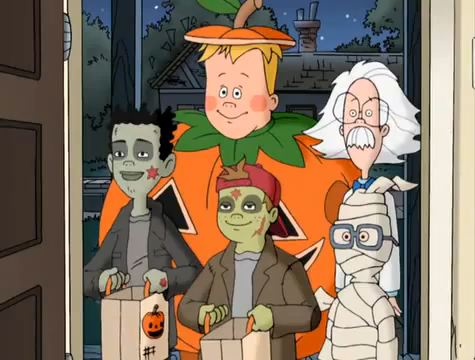 "Ghost Who's Coming to Dinner"
The gang must help prevent the destruction of a haunted house or else the ghost that lives there will be destroyed as well. A boy that Ickis scared decides to dress up as him for Halloween, resulting in Oblina and Krumm mistaking him for the real Ickis and taking him back to their home. 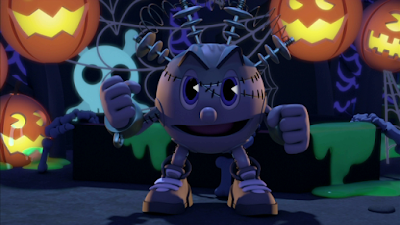 Soup and his friend get into mischief at a Halloween party while having to deal with the local bully. From the series of children's books, a group of house pets believe the family's new rabbit is a vampire. 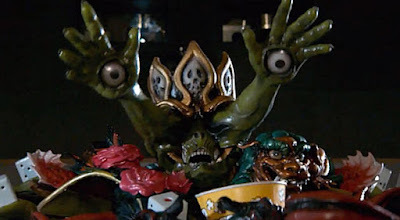 A failed pilot for a series based on the toys, this special sees a group of good and bad monsters shrunk to miniature size and set loose in the streets of Los Angeles. 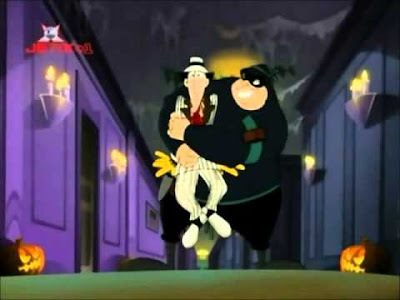 Ace returns to high school to find a missing bat. Wednesday, Pugsley and N.J. cross paths with the Puttergeist: the ghost of a golfer who lost his head after he was struck by lightning and haunted the golf course ever since. Trick-or-Treating loses out to conflict as Chuckie finding a carving in his basement leads him to believe that Tommy has a crush on Kimi. 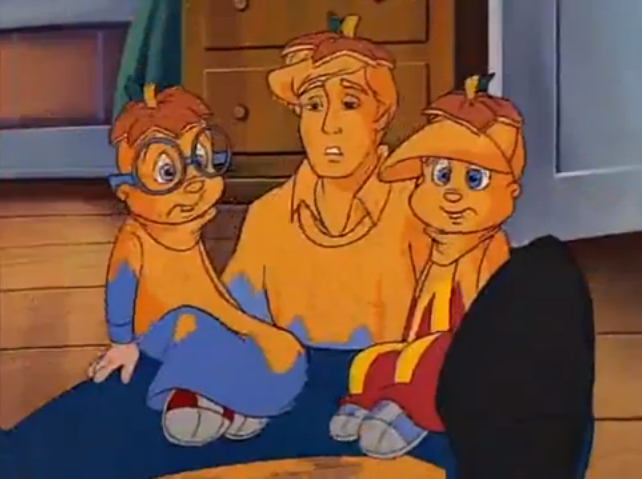 Alvin wants to join a gang notorious for pulling mean pranks on Halloween. "Alvin and the Chipmunks Meet Frankenstein"
The Chipmunks befriend the classic monster only to discover his creator is the true monster as he tries to transform and kidnap Alvin. "Alvin and the Chipmunks Meet the Wolfman"
When Theodore is bitten by a strange dog, he becomes a werewolf. 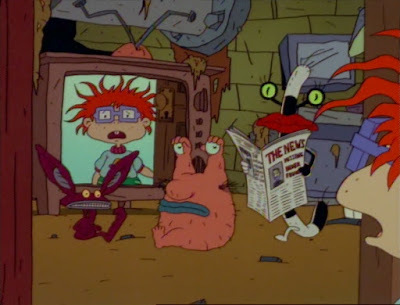 "The Day the World Got Really Screwed Up!" An alien object lands behind the house of the beavers' favorite movie star. Going back to their roots in Pennsylvania, the Warner siblings end up at Dracula's castle in Transylvania. 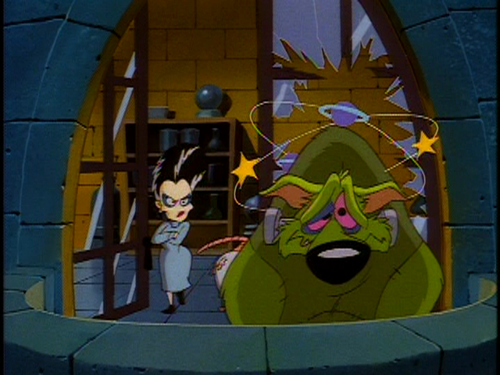 Rita and Runt are chased by a mad scientist who wants Runt's brain for her experiments. Slappy takes Skippy trick-or-treating on a block where all of her old enemies live. 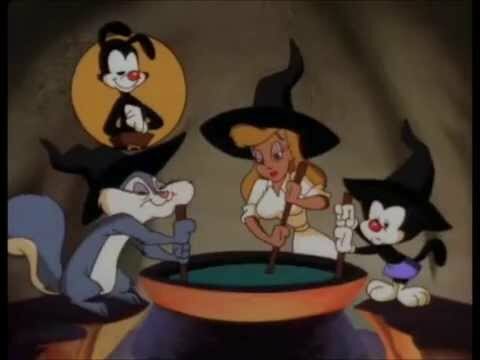 In colonial Salem, Rita is accused of being a witch. Yakko translates as Slappy, Hello Nurse and Dot recreate the Three Witches' scene from MacBeth. "Attack of the Killer Spuds"
Jughead's trophy ends up being an alien potato capable of creating copies of people it encounters. Part three in a trilogy of episodes dealing with vampires in Riverdale. 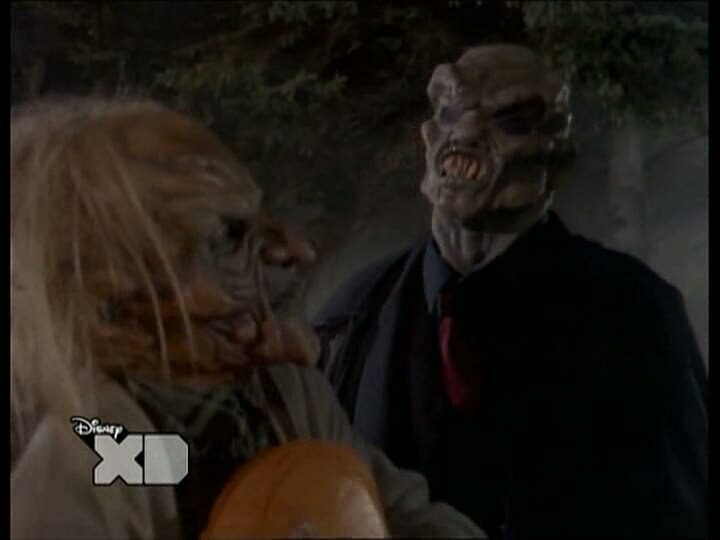 Count Medlock, thought defeated, returns and crashes the Lodge Halloween party, turning the citizens of Riverdale into vampires. Solomon Grundy is resurrected and targets the descendants of the founders of Gotham City, robbing them and destroying everything they own. 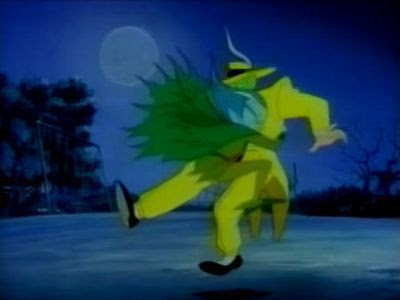 Batman faces off against the legendary Dracula in order to keep Gotham City from becoming full of his mindless minions. 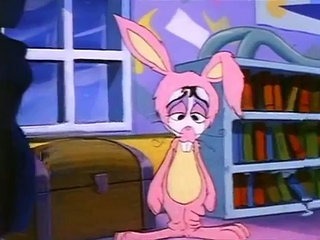 Lydia wants to throw a Halloween party to compete with Claire's, but she has no food, no decorations, no guests and is stuck with only a pink bunny costume. Beetlejuice and Lydia disguise themselves as witches to rescue Percy from the Witches' Ball in the Neitherworld. 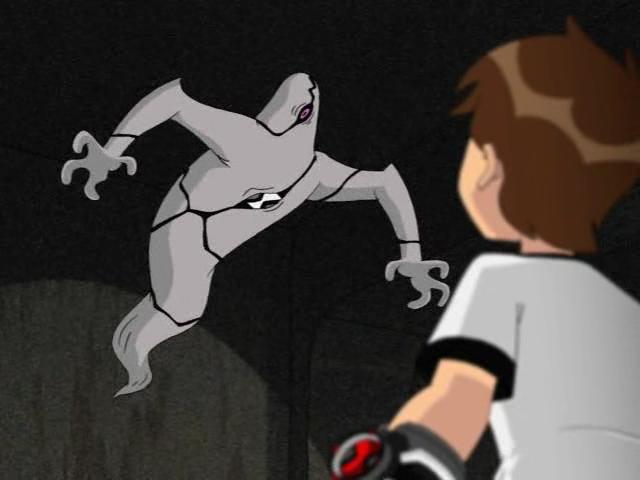 Ghostfreak escapes from the Omnitrix and attempts to take possession of Ben. 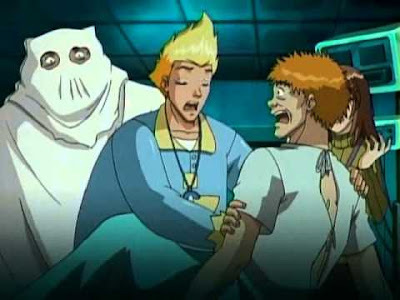 A monstrous scientist and alien werewolf and mummy attract the attention of the Tennysons, only to discover the trio is working for Ghostfreak. "Be Afraid of the Dark"
Ben battles Ghostfreak to prevent his plan of bringing eternal darkness to the world, which would allow him to conquer it. 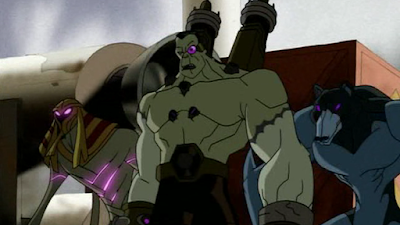 A delivery strands Ben, Rook and Rad on a planet where they're perceived as monsters. 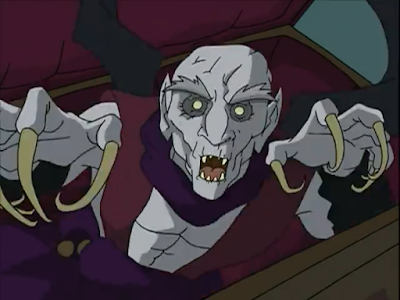 They soon learn the planet is the home of Ghostfreak, who orchestrated the delivery to return both him and a restored Dr. Viktor. 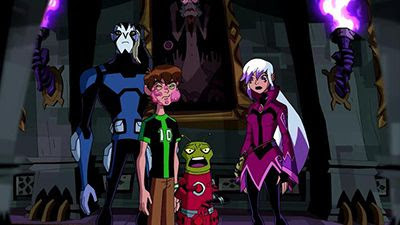 Still stranded, Ben develops strange acne every time he transforms and has to partner with Charmcaster in order to defeat Zs'Skayr. 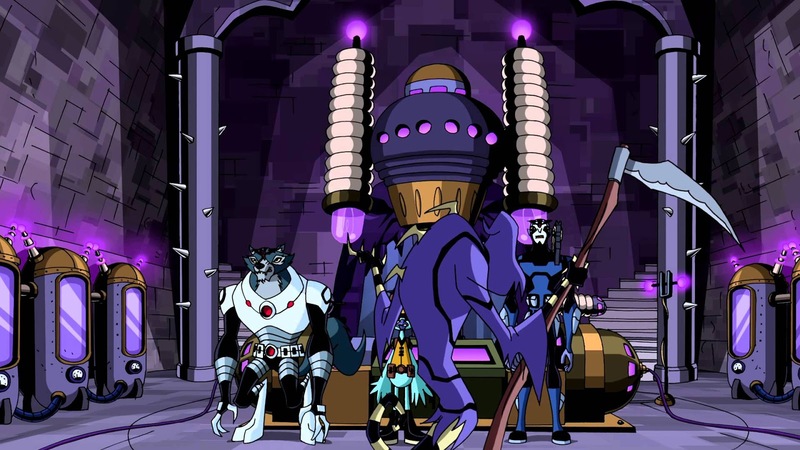 Zs'Skayr revives the evil Lord Transyl who is able to hypnotize and control everyone but Ben and Hobble. 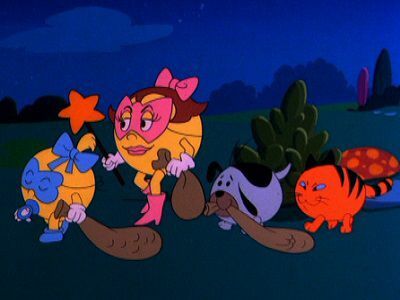 A witch the Biskitts defeated before returns and kidnaps Waggs and Sweets and casts a spell to drain the swamp of life. 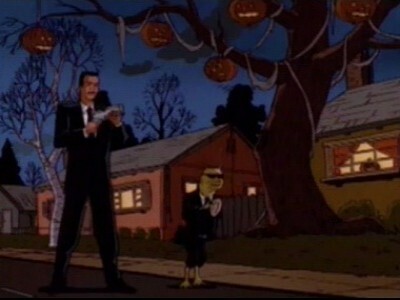 "The Night of the Living Pumpkin"
With Bobby too little to go trick-or-treating, Uncle Ted transforms the house into a horror house where trick-or-treaters have to pay money and candy to enter. Mikey shows Bunsen how to collect candy on his first Halloween, but Amanda is planning to steal all their candy. 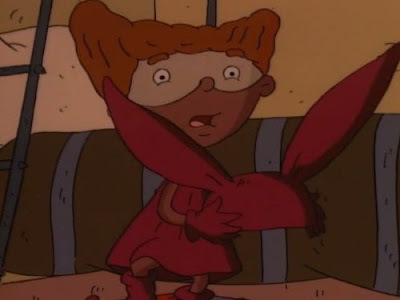 Everyone believes a rumor that Skeeter is a vampire when he's found hanging out with bats. 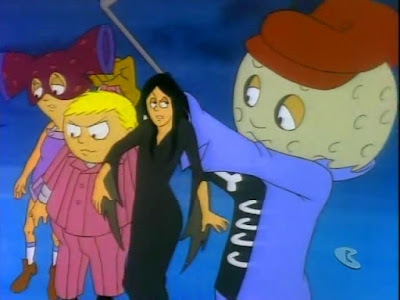 "Night of the Living Dougs"
Doug needs to find a quick replacement costume for Beebe's Halloween party, but everyone is too busy to help him. A scary movie has the kids set out to explore an abandoned subway line while Launchpad grows increasingly paranoid, and Lena attempts to earn Mrs. Beakley's trust while secretly receiving instructions from Magica de Spell. Eek helps a ghost try to find his family, but ends up having to rescue him, J.B. and Elizabeth from a pretty witch. 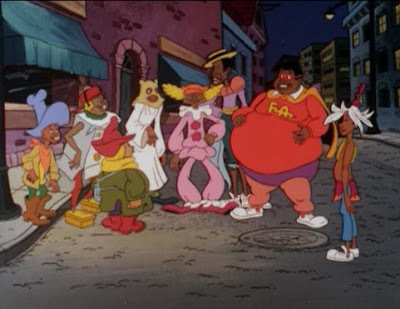 "The Fat Albert Halloween Special"
Fat Albert and the gang have to find two kids that disappeared in Mrs. Bakewell's house after they went in to play a trick on the spooky old lady. 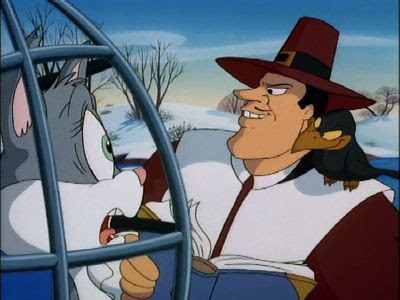 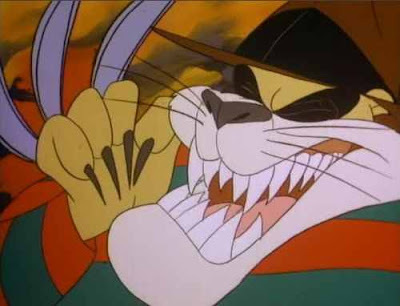 Dr. Claw plans a Halloween party in order to recruit criminals to be his agents. 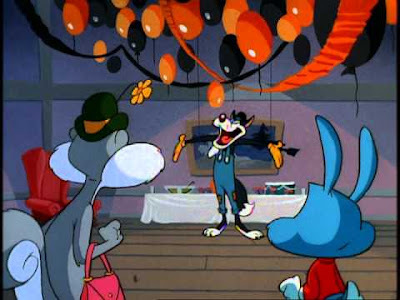 Trick-or-treating takes Garfield and Odie to a house on an island where pirate ghosts come to reclaim their long-buried treasure. Pete buys an old mansion that's haunted by a group of ghostly musicians. 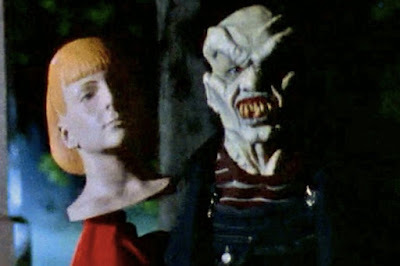 Carly-Beth takes a mask from a new store despite the owner's warnings and discovers it has begun to meld with her body and change her personality. 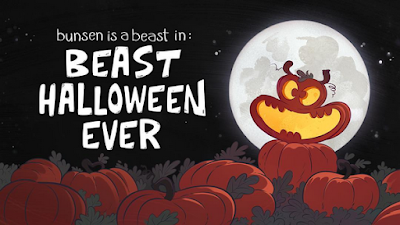 Pumpkin-headed creatures force a group of kids to trick-or-treat forever. Steve Boswell takes a mask from the same store as the original and is gradually turned into an old man, while the original Haunted Mask returns and plans to use Steve for revenge against Carly-Beth. After accidentally releasing a vampire that attacks Tohru, Uncle uses some of Jade's chi to save him and gives Jade some of his qi, creating a mixed-up group of Chans to defeat the creature. 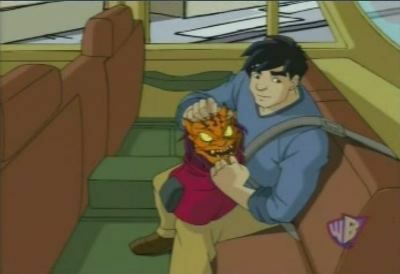 Tired of how others treat him, Paco is determined to out-scare Jade by donning the Oni Mask of General Orenji. 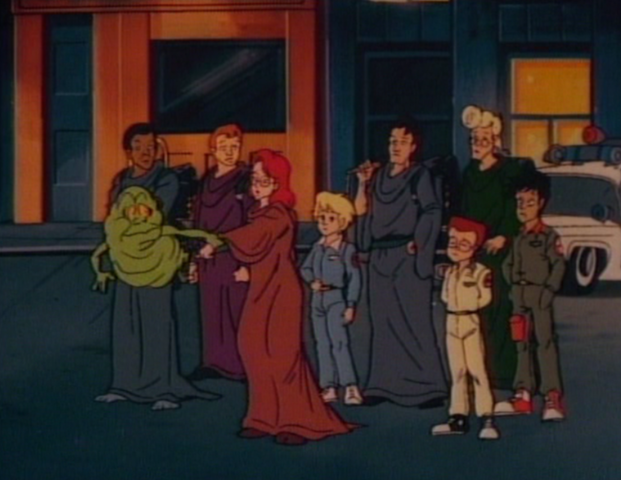 Spooks and ghosts try to prevent the Holograms from putting on a Halloween concert to save an old opera house. Klarion the Witch Boy transforms Batman, Zatanna, Constantine and Dr. Fate into 10-year-olds with very little recollection of who they are. 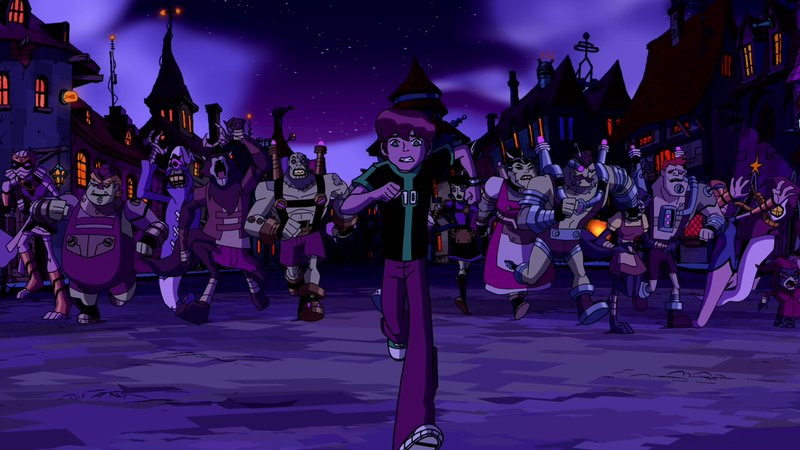 They have to escape his army of monsters and escape the House of Mystery before it disappears at Midnight. 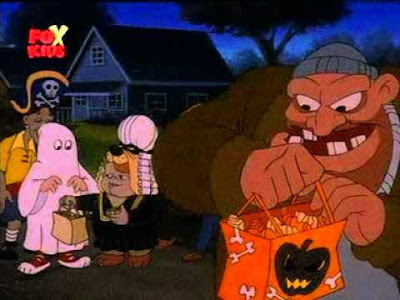 Louie tries to get rid of candy he stole during Halloween. 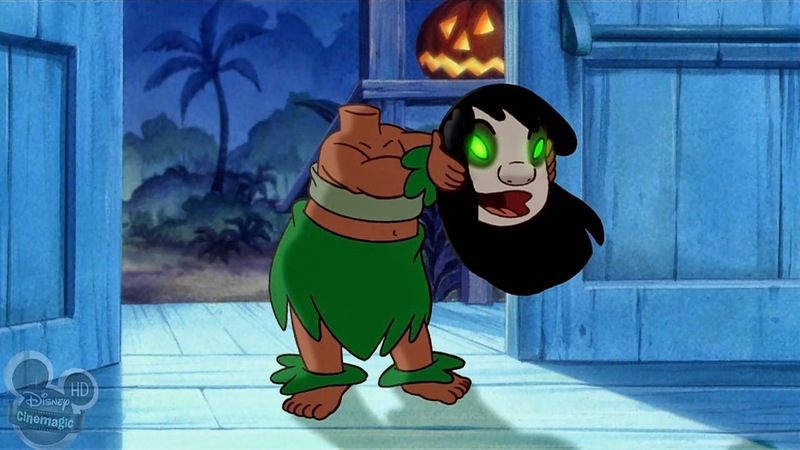 Experiment 300 is discovered and can morph into a person's worst fear. 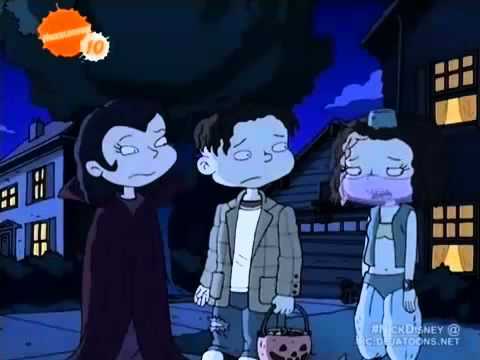 The gang goes trick-or-treating while Spanky and Alfalfa head to a cemetery to look for ghosts. 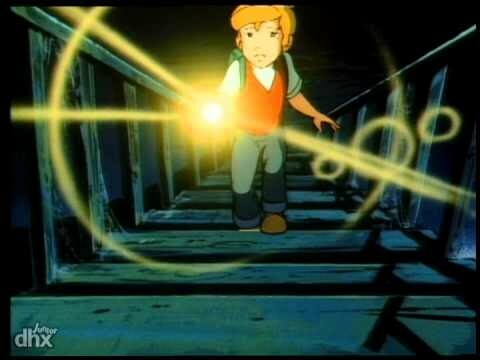 Henry spends the night in a haunted house in order to join a bicycle club. 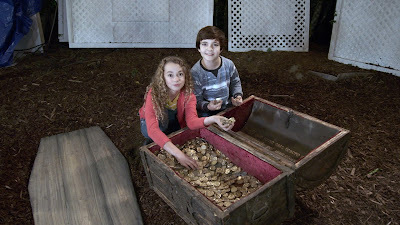 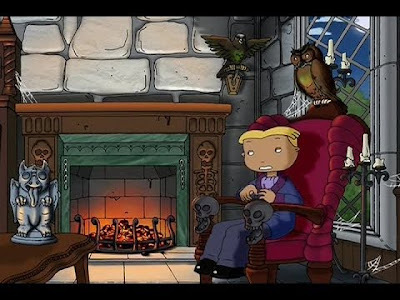 Henry explores an old mansion where an evil magician is rumored to live. 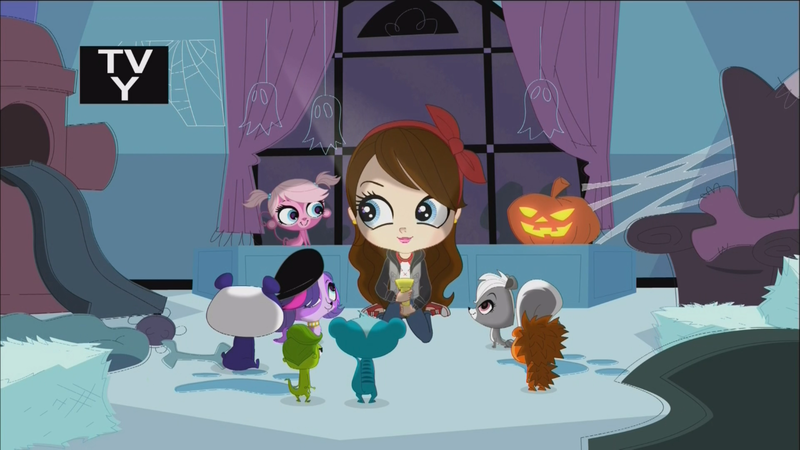 "Littlest Pet Shop of Horrors"
Blythe and the pets have a scary storytelling contest. 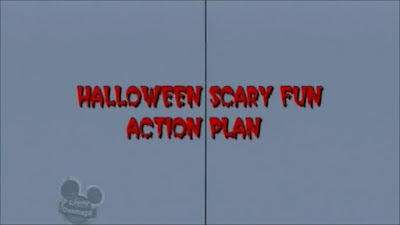 "Halloween Scary Fun Action Plan"
Lloyd and his friends' plan to scar Francine backfires when their haunted house sends them into the future. 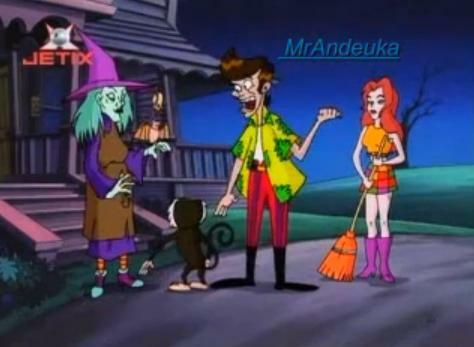 Martin, Diana and Java have to stop an evil spirit from bringing eternal Halloween to the world. 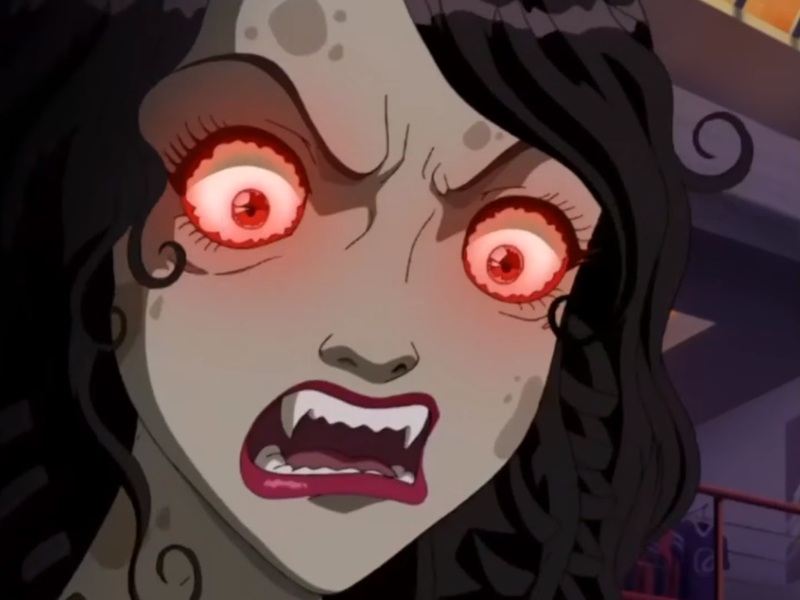 "The Haunting of the Blackwater"
The spirit of a former lodge owner possesses Diana. 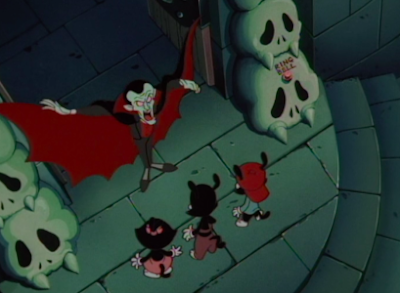 Diana, Billy and Java have to rescue Martin from the vampires before they unleash their brethren on the world. 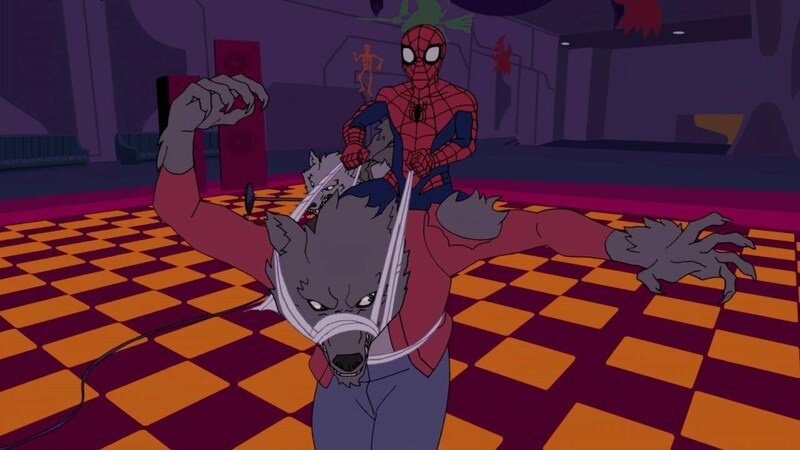 Spider-Man has to help the Hulk stop a gamma-powered Man-Wolf from infecting all of Manhattan and turning the citizens into werewolves. 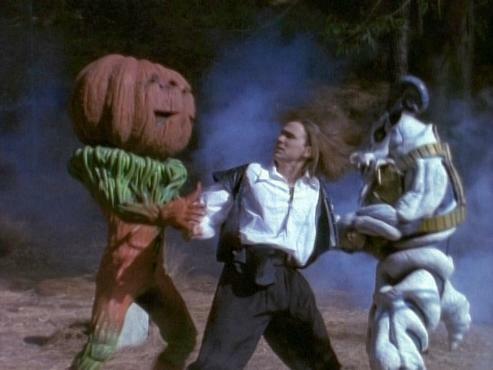 Skillit seeks revenge on The Mask by resurrecting his predecessors: Atilla the Hun, Billie the Kid and Merlin. 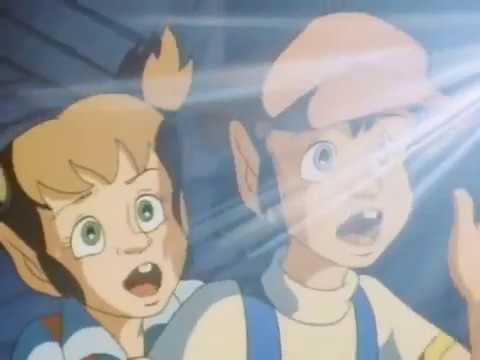 J, K and U discover an alien has arrived to kidnap children for slavery while strange goings on happen at MIB headquarters. 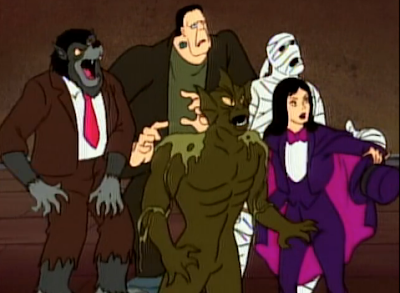 While the Rangers attend a Halloween party at the Youth Center, Rita mines for a special clay that will allow her to make Super Putties and sends the Frankenstein Monster to the party. 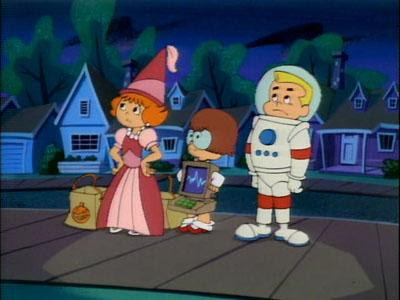 Kimberly's television debut is spoiled when Rita sends the Pumpkin Rapper into town. 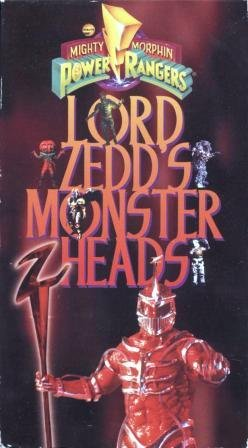 Zedd sends the Putties to crash the annual Halloween party at the Youth Center while Tommy is abducted by Goldar and sent to face Doomstone. 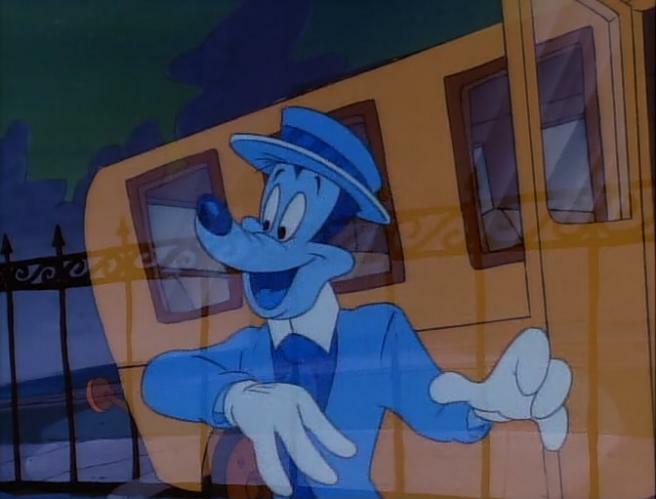 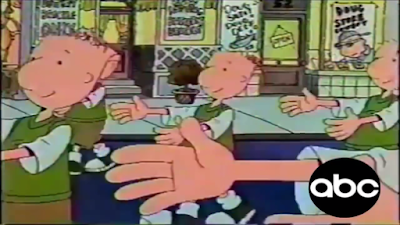 A direct-to-video movie that uses footage combined from several episodes, including the ones mentioned above, with new dialogue to tie them together. Zedd decides to give the Rangers one Halloween off in order to throw his own Halloween party, and he has Finster resurrect several of his monsters as guests. 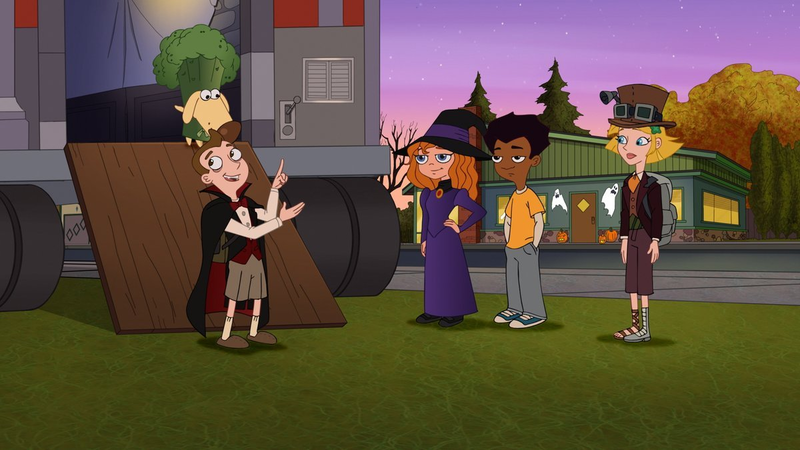 Milo turns an old truck into a haunted house that ends up going for a wild ride through town, while Dakota and Cavendish investigate the mystery of last Halloween. 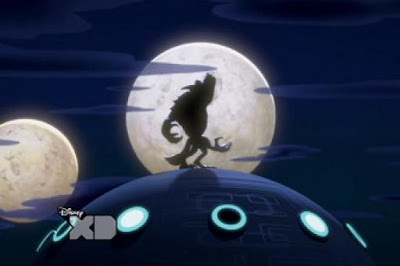 Princess Luna visits Ponyville on Nightmare Night, but her presence constantly being greeted by screams and fleeing over her past as Nightmare Moon has Luna decide to banish the holiday forever. Fluttershy is forced to go out on Nightmare Night and decides to force herself to join her friends in the festivities by attempting to scare them. 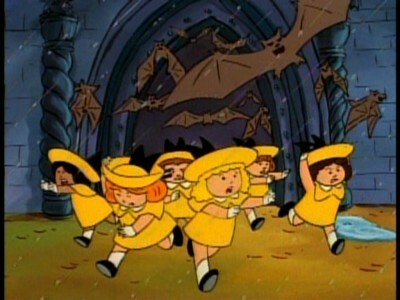 "Madeline and the Haunted Castle"
Madeline and the girls try to introduce Halloween to Paris with disastrous results. 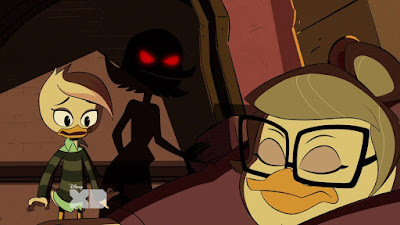 Waiting out a storm in an old house leads them to be greeted by a number of terrifying happenings. 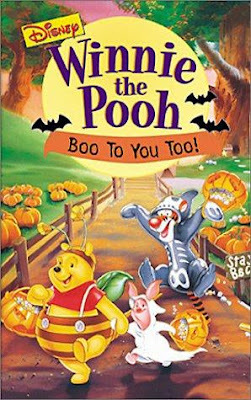 On a dark and stormy night, Tigger decides to entertain his friends with a scary story about mad scientist Piglet and his monster. "Boo to you Too! Winnie the Pooh"
Direct-to-video movie. 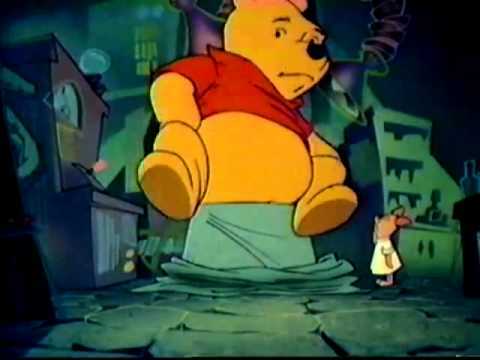 Piglet attempts to brave going out on Halloween, but ends up running off in fear. 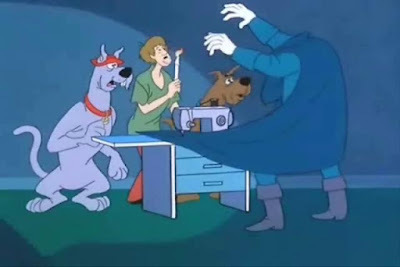 As his friends search for him, their own fears begin to give rise. "A Halloween Hassle at Dracula's Castle"
Scooby and the gang have to help a group of monsters stop an evil magician and a ghost. 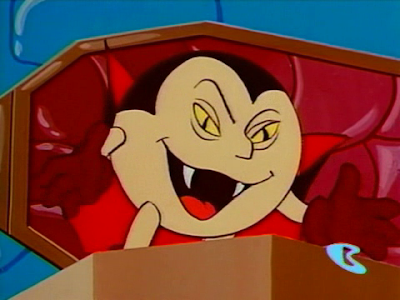 Mezmaron transforms a bat into Count Pacula as a way to get the citizens of Pac-Land to lead him to the Power Pellet Forest. The ghosts spoil trick-or-treating for the Pac family. 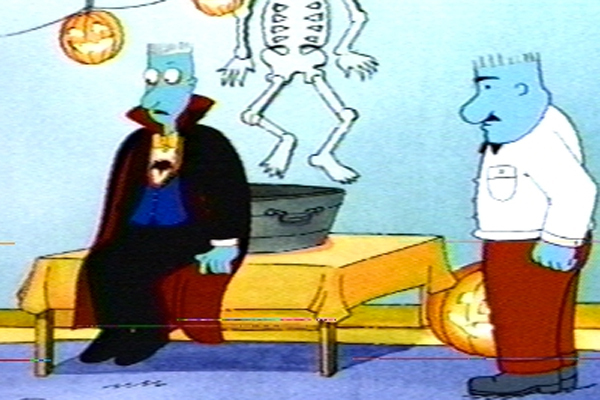 Both episodes would be combined into the Pac-Man Halloween Special. 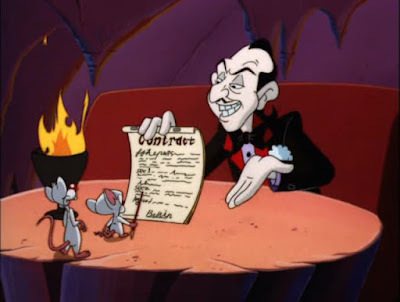 Betrayus summons Count Pacula to drain the last Yellow One. "The Shadow of the Were-Pac"
Were-Pac attacks threaten President Spheros' Halloween party. Dr. Pacenstein invites Pac, Spiral and Cylindria to his castle for a Halloween dinner, but has sinister plans in mind for them. "A Pinky and the Brain Halloween"
Mr. Itch requests Brain's soul in exchange for ruling the world. Brain refuses, but soon learns that Pinky accepted instead, sending Brain on a quest to save his friend's soul. The puppies try to find the weird-looking Freddie a home. "The Ghostest with the Mostest"
Kendall must figure out which of her friends has been abducted and replaced by a monster. 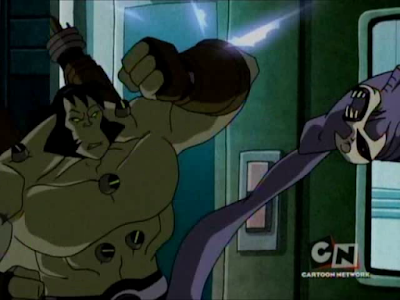 The Rangers are put on intergalactic trial for all the monsters they've destroyed. 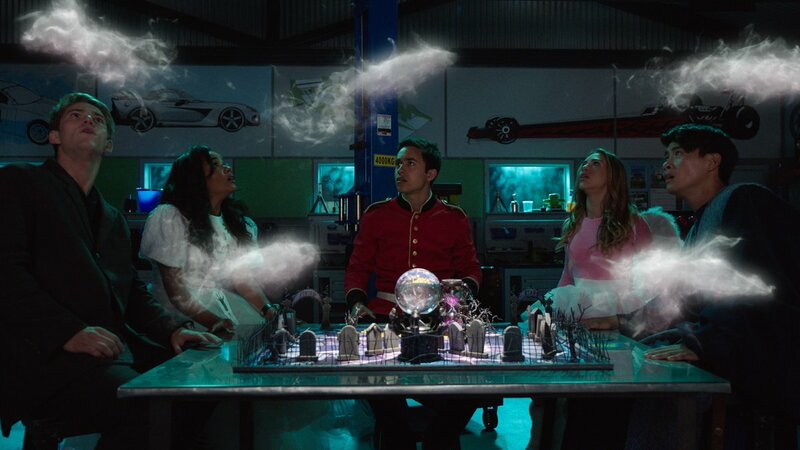 A mysterious fortune teller shows the Rangers their previous battles in a crystal ball, except those battles end in the favor of the monsters. The medium reveals himself to be a monster intent on disrupting all the city's electronics. 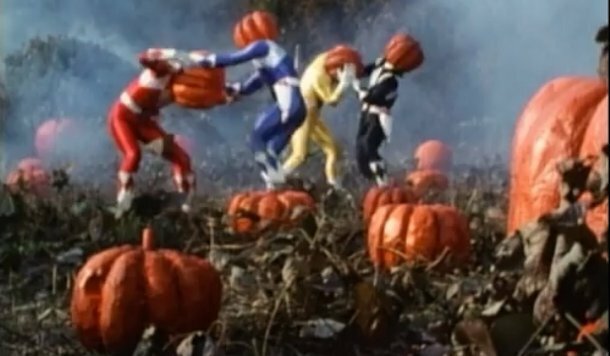 A Halloween trap pits the Rangers against monsters they've previously beaten. 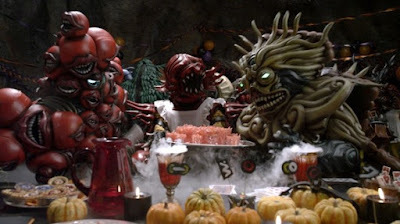 The defeated Nighlok Monsters hold a party where they exchange stories about their defeat at the hands of the Rangers. 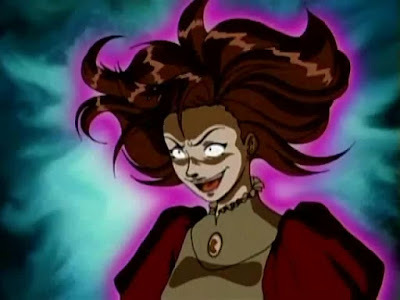 Master Xandred has Trickster trap the Rangers in a series of dreams. Divatrox turns a lunar bat into Count Nocturne, who proceeds to bite Carlos and turn him into a vampire. "It Came from Angel Grove"
Adam is the only Ranger left unchanged into a classic monster movie character. 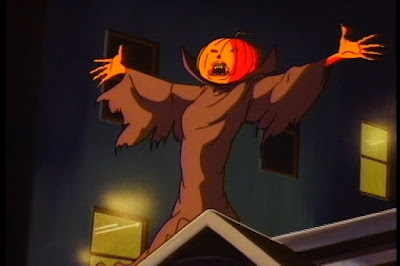 Samhain, the spirit of Halloween, is freed from his prison and seeks to stop time and make Halloween last forever. Goblins free Samhain from the containment unit and he turns the firehouse into his personal fortress. An anti-Halloween group breaks a seal and causes an influx of ghosts to enter our world. Enzo has to prove himself as the new Guardian while Megabyte and Hexadecimal attack the Principal Office. Butch tells the audience three terrifying tales of Recess. 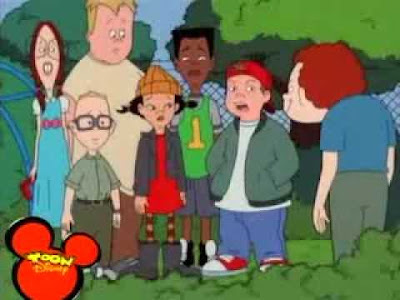 "Recess: Taking the Fifth Grade"
As the gang enters fifth grade and all the difficulties that brings, a new hang-up arises when Spinelli thinks he's getting too old to trick-or-treat with the gang. The kids go into the Pickles' neighborhood haunted house to search for the Reptar Bars being given out there. 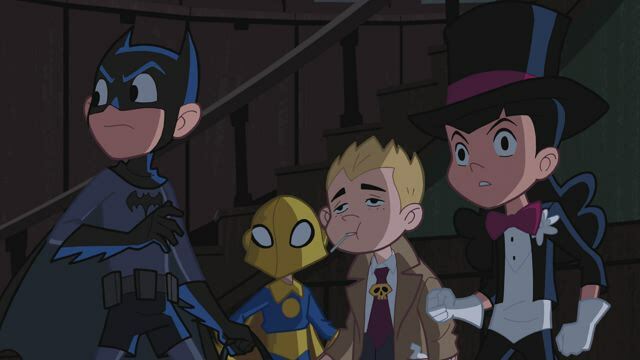 When the round-robin story doesn't end up scary enough for Angelica, she takes the babies to the attic in a haunted house where some unexpected visitors are waiting. 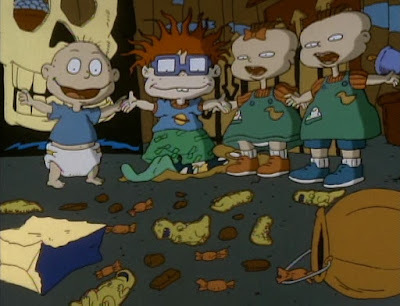 Angelica tells the babies the only way to prevent them becoming their costumes is to give her their candy. 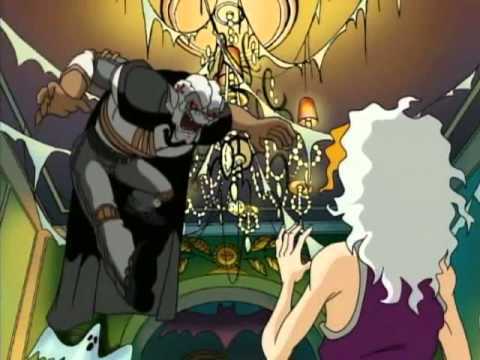 An educational song about the human skeleton. "The Headless Horseman of Halloween"
The Headless Horseman crashes a Halloween party and makes off with a guest's head. 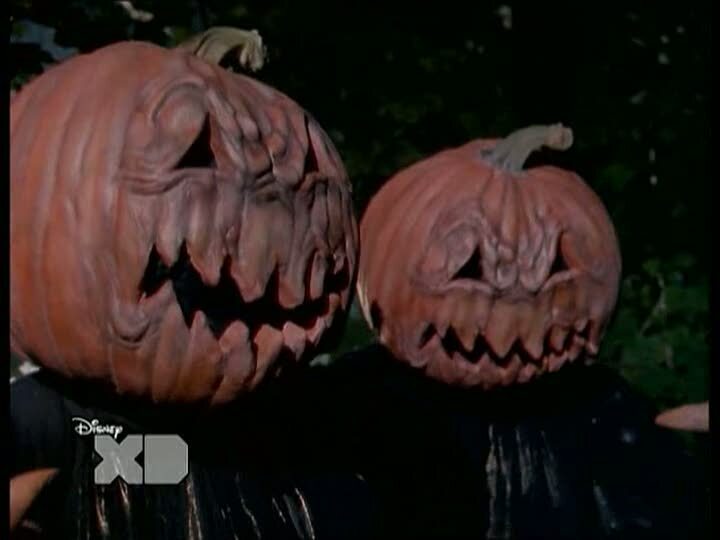 A trip to Salem lets the gang encounter a witch that has risen from the grave. 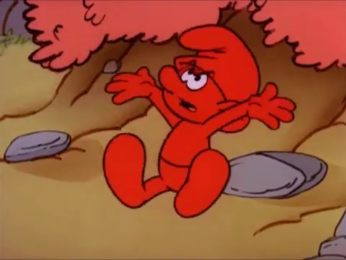 Mother Nature accidentally makes Lazy red, which allows him to be easily captured by Gargamel. 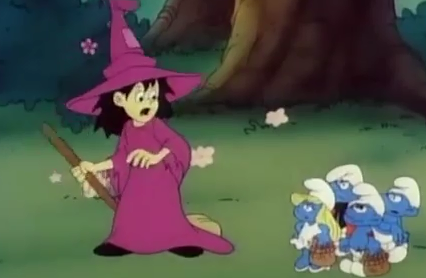 The Smurfs teach a young witch how to do good things with her magic. Brainy casts a spell that turns all the Smurfs into monsters. 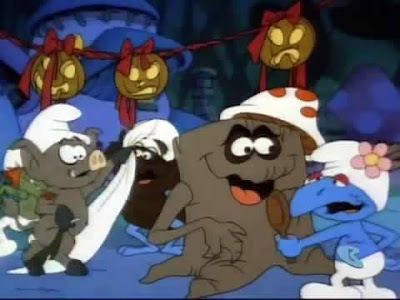 When Willie is uninvited to a party, he runs off to the Lost Valley. 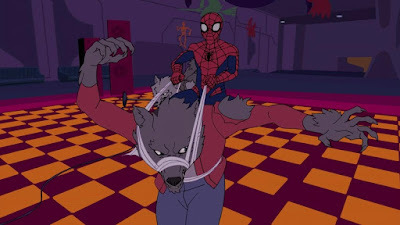 The Green Goblin seeks to become the reigning crime boss in New York in order to kill Spider-Man, leading to a confrontation that reveals Goblin's true identity at last. 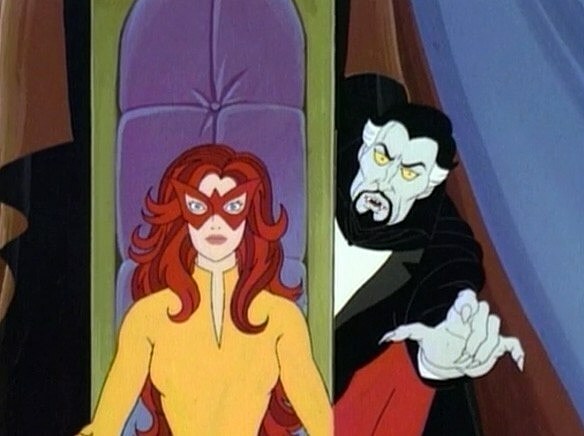 Dracula chooses Firestar to be his bride and absconds with her to his castle in Transylvania. 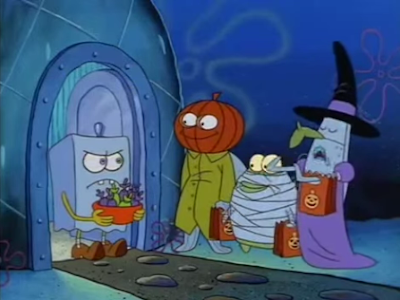 After being frightened by the story of the Flying Dutchman, Spongebob decides to scare everyone at the Krusty Krab Halloween party by dressing up as the ghost. Unfortunately, the real ghost decides to attend as well. Spongebob and Patrick find a sunken houseboat infested with ghost pirates. 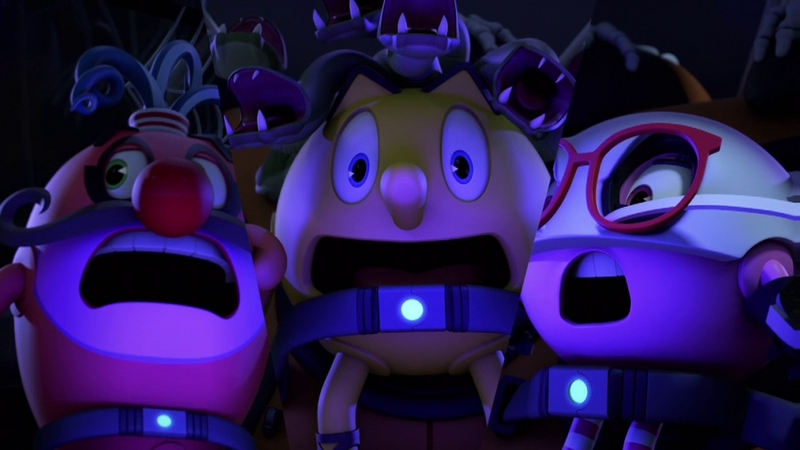 After seeing a horror movie, Spongebob and Patrick are convinced the film's villain is after them. The Flying Dutchman wants to make sure Spongebob and his friends are sufficiently scared on Halloween. 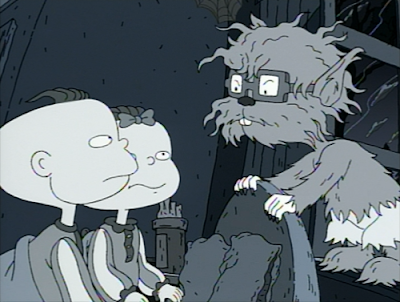 "The Tale of the Telltale Taffy"
Scott convinces Leonard to break his promise not to cross the street in order to get better treats from those houses. Meanwhile, Pretty Boy and Jolly suspect the black cat Leonard took in is really a vampire. 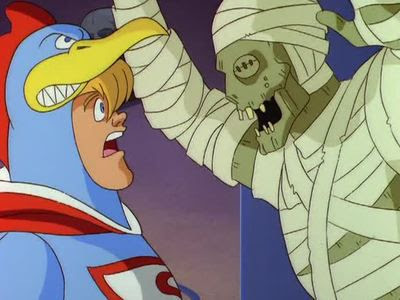 Looking to become the king of thieves, a thief steals a statue that he uses to summon the god of larceny, Kleptonus, and his army of winged gargoyles. 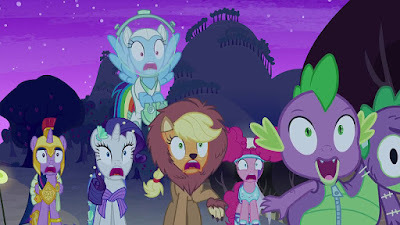 "The Horror of Slumber Party Mountain"
The girls are having a slumber party in an isolated house while the guys are camping nearby, and both parties try to scare each other as the night goes on. However, one by one, the friends begin to disappear. 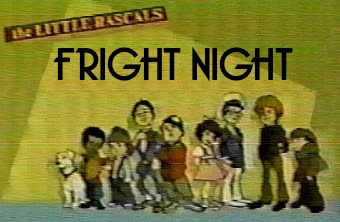 A one-hour special where Plucky is afraid of Hamton's vacuum, Furrball is tasked with catching a sneezing ghost, Babs faces the Demon Dog on the moors, Calamity gets run over by a fuel truck, Daniel Webfoot goes to confront Satan at Max's mansion, Plucky and Buster head to a mansion Plucky inherited, the Wackyland gang is pursued by advertisers, Elmyra creates her very own pet, and Plucky sees a gremlin sabotaging the flight he's on. 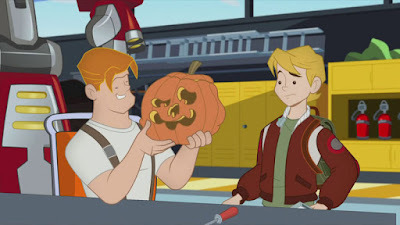 Myles and Evan carjack Quickshadow, stumbling upon the secret of the Rescue Bots and threaten to expose them. 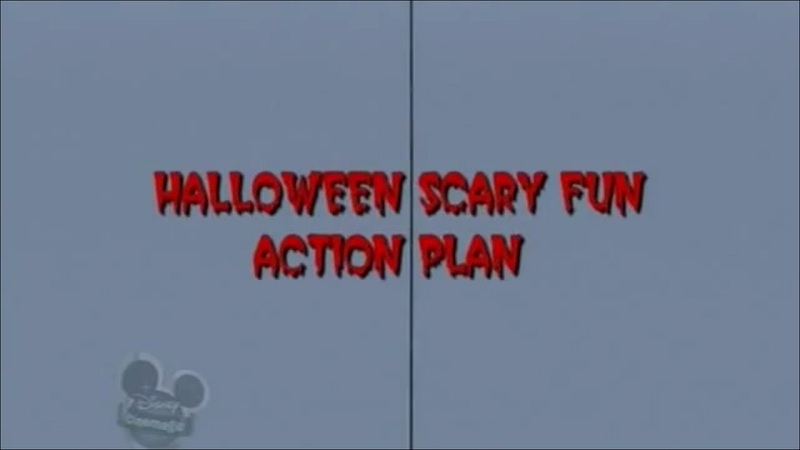 The kids use their scariest pranks in this Halloween special. 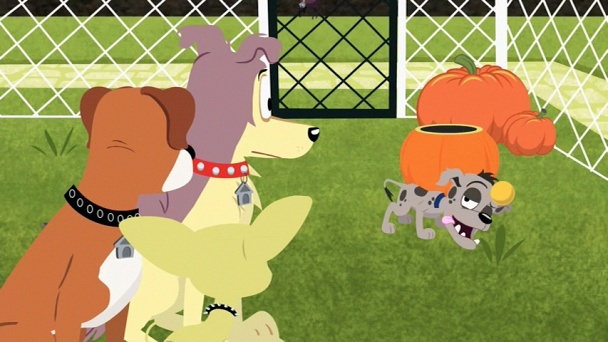 Tino wants revenge when his friends decide they're too old to go trick-or-treating. 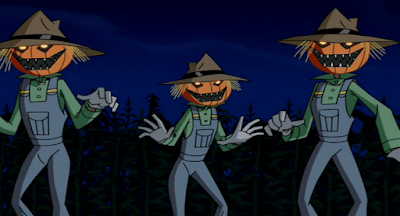 The gang heads to visit Velma's family in Banning Junction only to encounter a group of ghostly scarecrows and the ghost of Hank Banning. 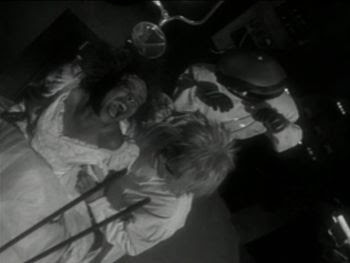 Carmen sets up a haunted house to get revenge for a trick played on her back in China. 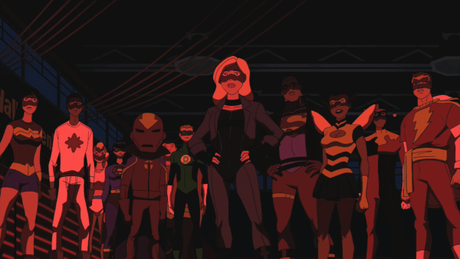 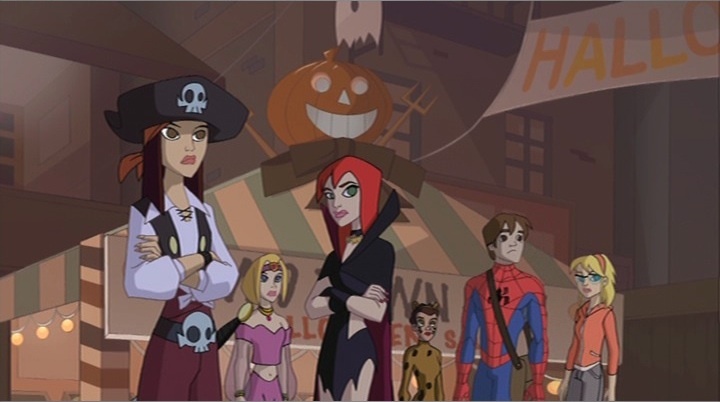 Artemis and Zatanna's girls' night is interrupted by a psychopath named Harm, while Kid Flash, Miss Martian and Superboy attend a Halloween party at the latter two's school.